As a professional office supply wholesaler in China, Deli is able to provide a variety of office supplies such as stapler, desktop set, paper punch, pencil sharpener, etc. 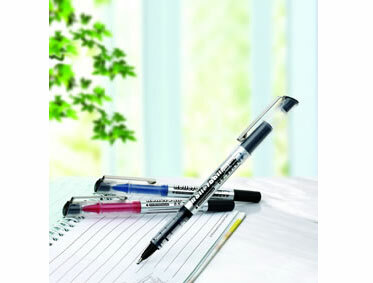 This is our gel pen, you can find other similar products of different functions by clicking the below icons. Welcome you to browse and choose! 1. ABS material is adopted to make our gel pen (gel ink pen). 2. Imported high smooth high quality ink. 3. It feels good to hold our gel pen (gel ink pen). Gel pen (gel ink pen), ballpoint pen and many other writing instruments are still widely used in offices and schools even in the electronic society. Besides ball pen, gel pen etc., Deli can also provide many other office supplies like file keeper, file box and file bag, paper supplies and paper cutter etc. » Whiteboard Marker 2. The ink marks are easy to be cleaned and are traceless. » Permanent Marker Pen 1. Uniformly writing marks. 2. It feels comfortable to hold our Permanent Marker Pen. 3. The ink quality of our Permanent Marker Pen has passed national safety inspection.